Luminus Management, a fund run by Jonathan Barrett and Paul Segal, recently filed its 13F with the U.S. Securities and Exchange Commission. The fund revealed 143 positions for the second quarter of 2014. Luminus Management disclosed its largest stakes in Exelon Corporation (NYSE:EXC), Calpine Corporation (NYSE:CPN) and Duke Energy Corp (NYSE:DUK). The value of the fund’s equity portfolio totalled $2.6 billion. In this article, we will discuss each of the fund’s top three stocks. Luminus Management is bullish on Exelon Corporation (NYSE:EXC), which is on the first position. 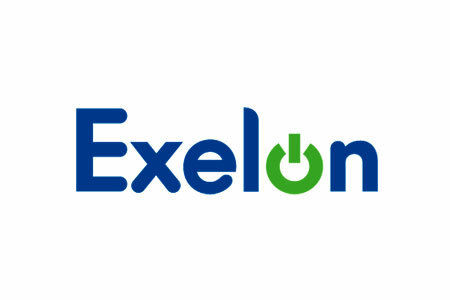 The fund boosted its stake massively in Exelon Corporation (NYSE:EXC) to 4.87 million shares from 623,452 shares. The stake is valued at $177.6 million. During the quarter, another hedge fund, Millennium Management, led by Israel Englander, also upped its stake in Exelon Corporation (NYSE:EXC) to 7.53 million shares. Zimmer Partners, run by Stuart J. Zimmer, reported ownership of 3.0 million shares of the company. Next on the list is Calpine Corporation (NYSE:CPN), in which the fund revealed a $146.4 million stake, containing 6.15 million shares. The stake remained unchanged over the quarter. Calpine Corporation (NYSE:CPN) is a generator of electricity from natural gas and geothermal resources. Last month, Calpine Corporation (NYSE:CPN) announced that it signed an agreement with Exelon Corporation (NYSE:EXC) to acquire an 809 megawatt (MW), combined-cycle power plant and related plant inventory for $530 million. The transaction is expected to close in the fourth quarter of 2014. In July, Luminus Management reported that it sold 13.2 million shares of the company in accordance with a share repurchase agreement between Calpine Corporation (NYSE:CPN) and LSP Cal Holdings I, LLC, one of the funds run by Luminus Management, at a price of $23.57 apiece. Aside from Luminus Management, Peter Adam Hochfelder’s Brahman Capital holds 13.27 million shares of Calpine Corporation (NYSE:CPN), and Addison Clark Management, led by Terence Hogan, reported owning 3.53 million shares of the company in its latest 13F. Over the second quarter, Luminus Management acquired more shares of Duke Energy Corp (NYSE:DUK), taking its holding to 1.89 million shares from 1.64 million shares. The value of the holding is $140.2 million. Duke Energy Corp (NYSE:DUK) is engaged in energy business in the United States, and has a market cap of $52.2 billion. Arrowstreet Capital, managed by Peter Rathjens, Bruce Clarke and John Campbell, holds 1.59 million shares of Duke Energy Corp (NYSE:DUK). Highbridge Capital Management, led by Glenn Russell Dubin, owns 773,625 shares of the company. New York City based Luminus Management was founded in 2002. The fund focuses on a long/short strategy that seeks to capitalize on investment opportunities across the capital structure of companies primarily in power, utility and related sectors (generally in North America) by taking positions in securities including, but not limited to, equities, bonds, convertibles, preferred securities and bank debt. Current assets are in excess of $1 billion, of which there is a significant investment by principals of Luminus Management.